After practicing law for many years, college counselor Suzie Wynne realized her passion was to help young adults find their educational path. Suzie became an independent college counselor, and enjoys helping students prepare for college. She believes it is critically important to understand each student’s learning style, needs, talents, values, and aspirations. Suzie helps students use this information to find and apply to the right “fit” school. It’s a passion she brings to every college search and college application.College applications begin with finding a great college that fits your student, but those colleges and universities can be anywhere: just around the corner or across the country. Suzie brings a distinct combination of skills and perspectives to her college counseling services. Her strong research, writing, strategy and advocacy skills are invaluable in the college admission process. Having recently gone through the college application journey with two of her own three children, Suzie is aware of the stress and anxiety involved for students and families. She understands that students may be confused about how to start applying for college, so she focuses on demystifying the sometimes-confusing college admission process. 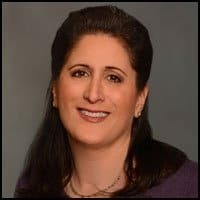 Suzie served for four years as a member of the Board of Trustees of Bridges Academy, a private college preparatory school for students in grades 5-12 who are “twice-exceptional” (gifted and highly gifted students with learning differences). As a result of her personal and professional experiences, Suzie recognizes that no two students are alike, and she is committed to building an individualized plan to help each student find the right college. Suzie holds a Bachelor’s degree (with Honors) in Political Science from UC Santa Barbara, and a Juris Doctor (J.D.) from Loyola Law School, as well as the Certificate in College Counseling (with distinction) from UCLA. 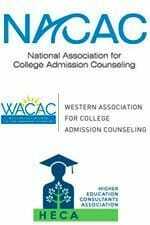 She is a member of the following college counseling organizations: National Association for College Admission Counseling, Western Association for College Admission Counseling, and Higher Education Consultants Association. The college search process can be difficult, but as a professional college counselor, Suzie makes the process easier and less stressful. She will be a tireless educational advisor for your teen’s college search.